R3d83ard, Showtek & Justin Prime, GTA & Digital Lab & Henrix, Knife Party, Makj and more. This is my entry to the Electrocity 8 in Poland. Winning this competition means a dream come true for me, please play it, favorite it, and share it with others!!! 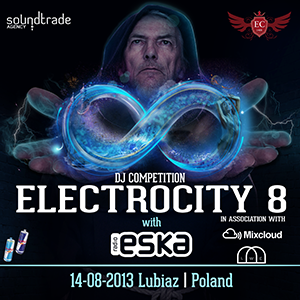 To jest moj mix na festival Electrocity 8 w Polsce. Zwyciestwo w tym kontescie to spelnienie moich marzen!! !